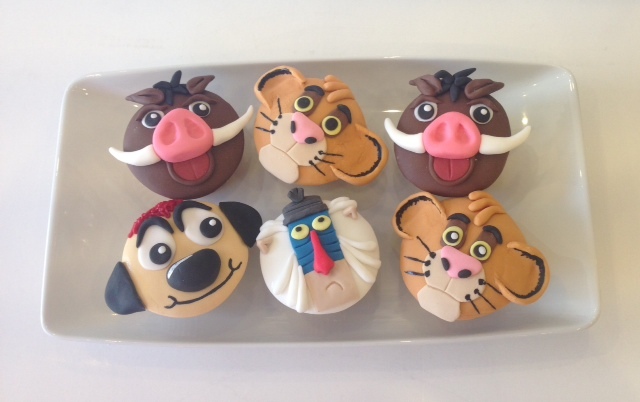 Being big Disney fans, we get a little excited when an order featuring some of our favourite characters comes into the order book and probably our favourite is anyone from the Lion King. 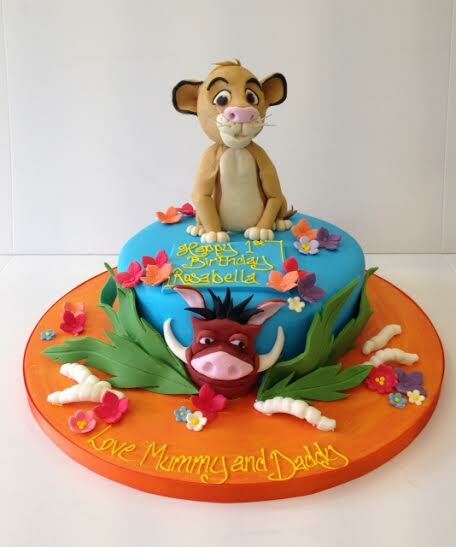 Cute animals, jungle details and a touch of Africa coupled with a sing along to Hakuna Matata makes for a happy team! 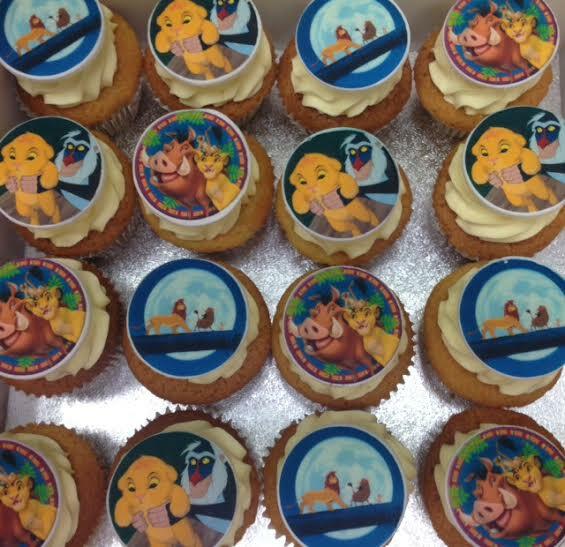 We are often asked for a centre piece cake and then to make cupcakes which are handed out to the guests. There are some examples of either sugar sculpted cupcakes or a budget friendly transfer image option below. Either way they look so cute!